Duty MLC Catherine Cusack with Liberal Party Candidate Jaimie Abbott and some of the Marine Rescue Volunteers. Photo by Marian Sampson. MARINE Rescue Port Stephens is staffed by volunteers. These locals give up their time, and at times put their lives on the line to help those in trouble in our waters. The crews turn out on twenty minutes notice, and until recently they were forced to change into their safety gear and be briefed for their missions on the dock, often in bad weather. The team at Marine Rescue has just released their two year dream to commission a floating dock where they can store their safety gear, change and conduct their briefings. The floating dock was custom built by local company Varley Group and was kicked off by a NSW Clubs Grant through Wests Diggers, Nelson Bay. 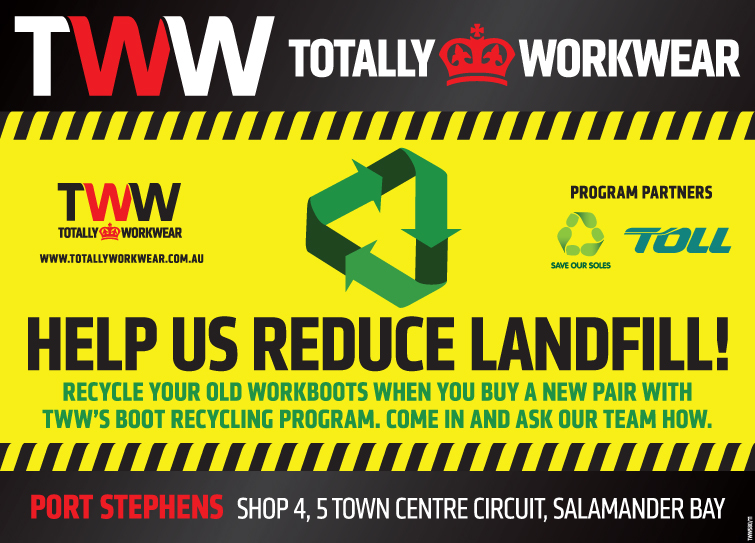 This week the NSW Government has kicked in an additional $10,000 grant towards the floating dock. The dock is believed to be the only one of its kind and has only been possible through generous donations and support from Marine Rescue Port Stephens patrons and volunteers. 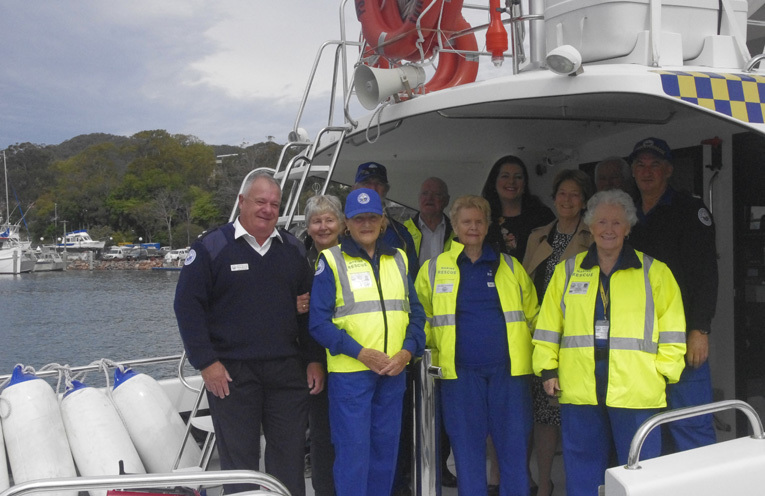 Duty MLC for Port Stephens Catherine Cusack and Liberal Candidate for Port Stephens Jaimie Abbott toured the facility and met long term volunteers and the vessel crews. While Marine Rescue does ask for donations from those who use their services they only recover approximately 40 percent of the cost of each rescue from the vessels and crews they save. 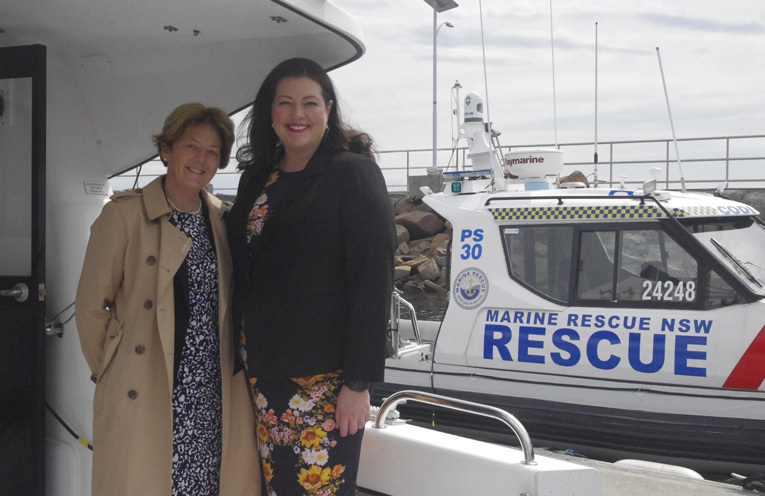 Duty MLC Catherine Cusack with Liberal Party Candidate Jaimie Abbott aboard the Marine Rescue Vessel the John Thompson. Photo by Marian Sampson.